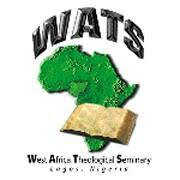 The West Africa Theological Seminary (WATS), Lagos and the Glorious Freedom Assembly have concluded a three day conference in Lagos, urging Christians in the country to defend the faith. The conference which was a two-in-one event drew participants from Lagos and its environs. First day of the event ran under the caption: The Thessalonians Road: Sanctification Made Plain, while the day two and three were captioned Defending The Gospel in a Changing World. Speaking at the event, Rev. (Dr.) Mike Oye, Rev., (Dr.) Gay Maxey and Dr. Michael L. Brown, all admonished participants on the themes of the event. In his own word, Oye told participants that speaking in other tongues is not the evidence of the baptism of the Holy Spirit which is commonly emphasized in contemporary time. “Did that scripture in Mark 16:17 they often quote say everyone would speak in tongues? Do all people lay hands on people for healing now? Do all people take snakes up? Did it say a Christian would do all the signs in that scripture? He meant that as a body he will manifest himself in different ways. “And then he was not even speaking about the Holy Spirit baptism at all, he was only talking about evangelism. It has nothing to do with the baptism of the Holy Spirit. He said those that believe. “When he actually spoke about the believer in Acts 1:8, he didn’t say you shall speak in tongues, he said you shall receive power. Jesus never talked about speaking in tongues in connection with the Holy Spirit. I speak in tongues, I know the purpose, but I do not emphasise that those who got baptized must speak in tongues at that time,” he said. According to him, he spoke in tongues two years after being baptized in the Holy Spirit and that does not mean the Holy Spirit was not present in his life as soon as he received the baptism of the Holy Spirit. Oye however enjoined Christians to discover their talents and work with such talents for productivity. “Christians should discover their talents; I don’t mean only spiritual talents but what they can do with their natural talents. They should develop along that line and get self-employed,” he counseled. Also into herbs, Oye told journalists that there is no such thing as incurable sickness in the world. According to him, God has given mankind what to eat which also should serve as natural drugs. “People eat so manner of things that give them problem. “First and foremost, herbs are scriptural, secondly my father knew a lot of herbs. So from childhood, I was interested in plants. It led me into doing biology and doing taxonomy. It led me to doing a degree in agriculture because I liked to grow food. “I did that up to PhD level. Right from primary school I came across a book called Useful Plants of Tropical Africa, it is a big volume like the Bible. I started studying it right from my teenage and I still do that up till today. “I later got all the five volumes of those books and that has been my research grounds and I have studied so many tropical plants and their properties. I do a lot of pharmacognosis. It is a research field and from there God has led me to formulating many medicinal formulas for healing so many so called incurable diseases, he explained.